Our 3D and Gel air fresheners are long lasting, great quality, with a variety of scents for your car. 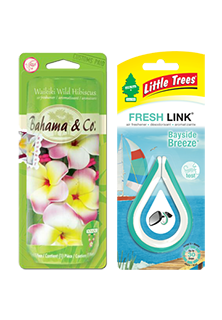 We have several brands including but not limited to; Little Tree Carfreshener, Bahama and Co, Scents, k29, etc. Come and check out our amazing line of 3D and gel air fresheners, we have the lowest prices in the nation~GUARANTEED!